Hello, hello! 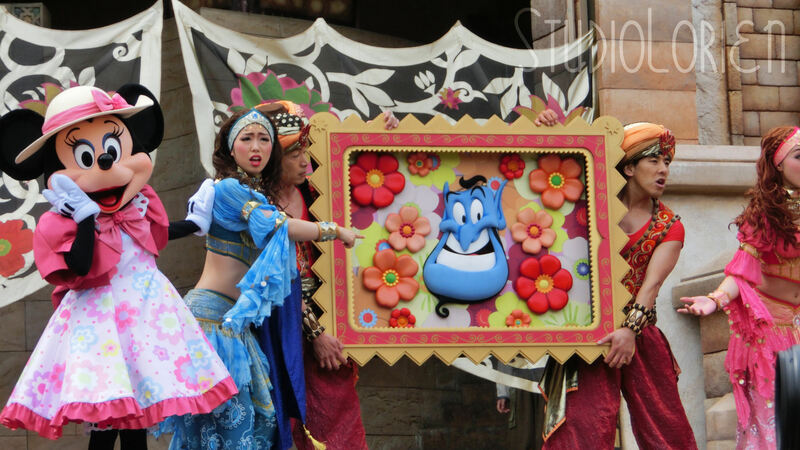 Today I am back with a post from the Arabian Coast in DisneySea. I’ve only seen this show once and unfortunately I wasn’t in the best position to take good pictures, but since I am now obsessed with Easter in New York, I have a feeling that I may not be going back to see Springtime Surprise again before the season ends. Therefore! I am going to go ahead and post the photos that I have. Hopefully you will get a rough idea of the show. 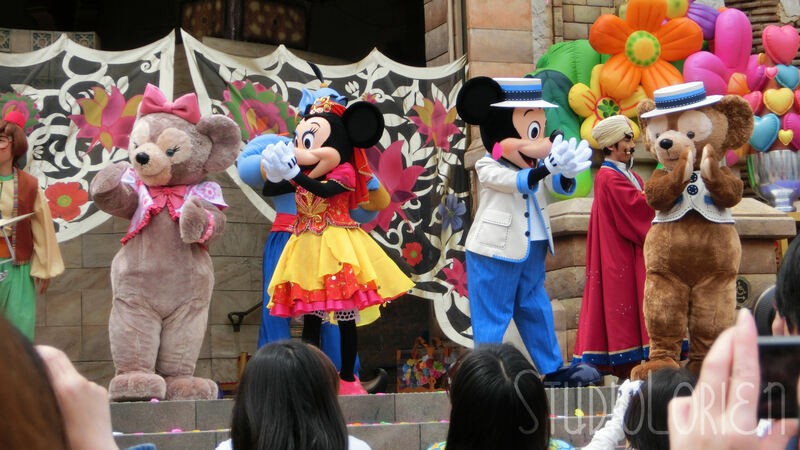 Mickey and Minnie come to visit the Arabian Coast! 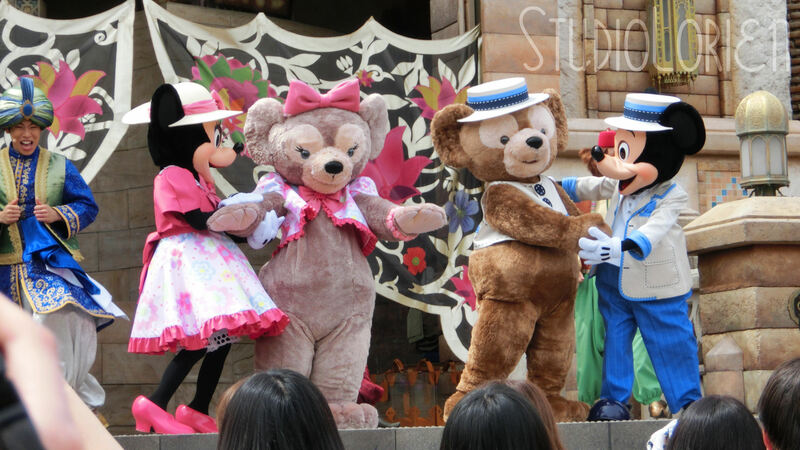 Of course, Duffy and Shellie May come with them. Happy dancing and singing! 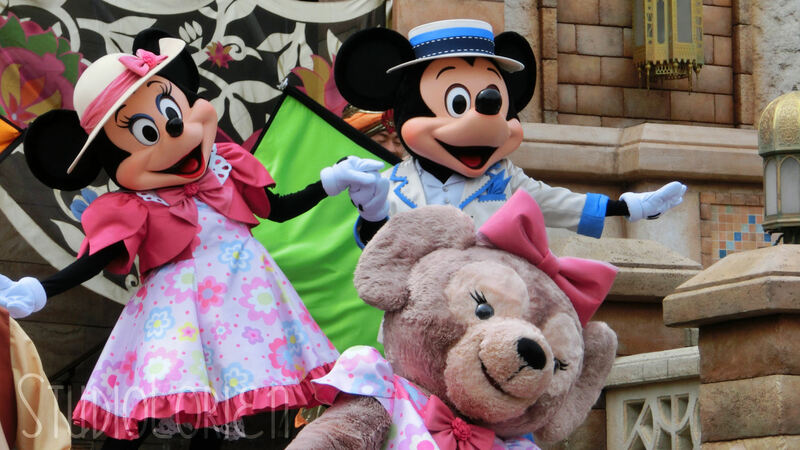 Minnie’s dress is so cute. I am in love with the dancer’s costumes. A show at the Arabian Coast would not be complete without Genie! 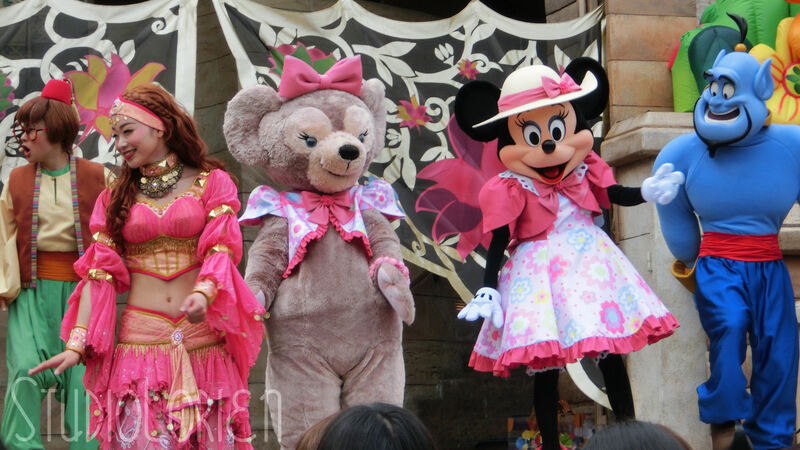 I actually have a video clip from Minnie’s magical dress change! How do they do it?! READ Halloween is Coming Soon!